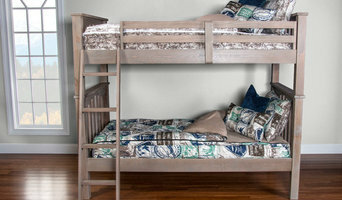 We sell bunk & loft beds, custom specialty bedding for all bed types to include fitted comforters, huggers, bed caps, attached sheets, zippered bedding and accessories such as rugs, poufs, drawer pulls and more. I also am the USA national sales manager for Kids Zip Sheets. zestt creates organic, comfy, cotton luxuries for home, travel and baby. Known for our commitment to sustainable materials and social responsibility, our heirloom quality designs bring the comfort of home anywhere your adventure takes you. 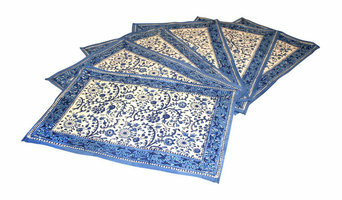 We manufacture hand block printed fabric in India in small villages. We use vegetable dyes in a lot of our products. We sell tablecloths, napkins, table runners, placemats, duvet covers, curtains and bed spreads. Our bedspreads have been turned into custom fit pillows and slip covers and featured on better homes and gardens. MagicLinen specializes in bespoke linen home textiles - linen bedding, bath, table and kitchen linens, linen curtains - and linen clothing for women. We strive to be an ethical, sustainable and transparent business, thus our items are carefully handmade from high-quality OEKO-Tex certified linen with great attention to detail. Komfy Couture specializes in weighted blankets. Our luxury weighted blanket is much different than the other blankets on the market. Our blankets are filled with glass beads opposed to polyurethane pellets that most manufacturers use. The glass beads are sewn in a liner between the fabric so the blanket looks and feels luxurious. Other weighted blankets look like sleeping bags or quilts. The glass beads we use are very small and give the blanket a smooth feel while providing the weighted imput the body needs to feel calm and relaxed. Weighted blankets are used to calm naturally. The weight of the blanket sends signals to the brain, which then releases serotonin. Serotonin naturally calms the body. Weighted blankets have been used for anxiety, insomnia, stress, depression, restless leg syndrome, autism, SPD, PTSD, and fybromyalgia. They are also used to just simply relax! Our blankets are custom made to order and can be designed to compliment your room/home! One of the most common problems in bathrooms is lack of storage space. Buying a bathroom vanity at your local building supply store may be the answer, but for more challenging storage solutions, you’ll want to contact a New Market, PA bedding and bath manufacturer or retailer that specializes in custom storage options and unique bathroom furniture and accessories. From heated towel bars to shower curtains, use the Houzz Professionals listings to find New Market, PA bedding and bath retailers with budget-friendly bathware and modern bath accessories. Some bathroom remodelers specialize in affordable equipment like grab bars, safety tubs and showers and other bathroom accessories designed for those with different physical needs. Does your bathroom need converting or upgrading for special needs? Is it time to wake up your master bedroom with some new bed linens? Since that very first white sale in Philadelphia’s John Wanamaker and Co. department store in 1878, January has always been a good month to buy bed linens. Those looking for hand-crafted custom bedding and draperies can find a New Market, PA company that makes and sells quality bed products. Many bed and bath retail outlets sell a smaller selection of exclusive brands.